248 lat temu, tj. 7 marca 1765 roku urodzil sie Joseph Nicéphore Niépce, auto piewszej, znanej fotografii na swiecie datowanej na 1825 rok. 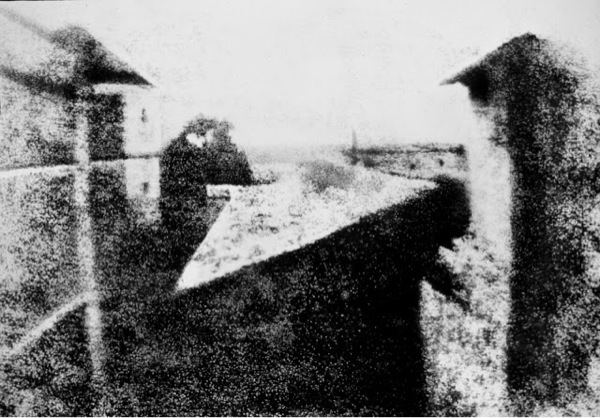 View from the Window at Le Gras, the first successful permanent photograph created by Nicéphore Niépce in 1825, Saint-Loup-de-Varennes. Captured on 20 × 25 cm oil-treated bitumen. Due to the 8-hour exposure, the buildings are illuminated by the sun from both right and left.